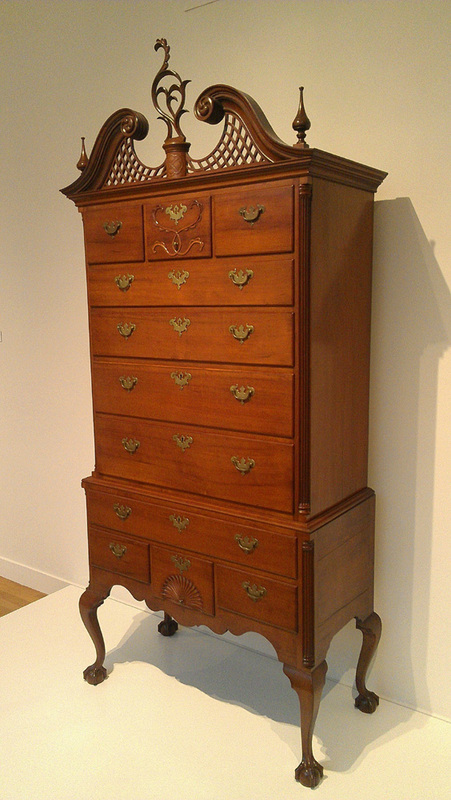 If my article today about Eliphalet Chapin and Connecticut’s golden age of furniture whets your appetite for more, there’s an all-day program Saturday called “It’s All About Connecticut Furniture,” presented by the Connecticut Valley School of Woodworking. 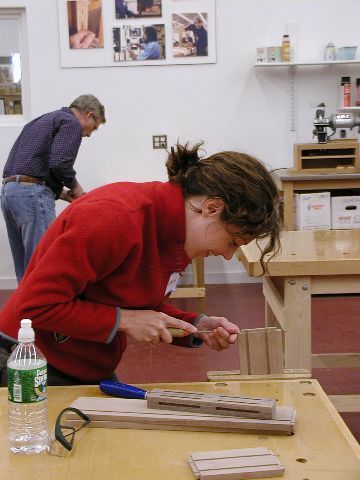 The workshop, aimed not only at serious woodworking hobbyists but at anyone interested in historic furniture, will focus on 18th-century Connecticut’s distinct furniture styles, each with its own influences, and how social history, trade patterns and the economy played a role in forming this vibrant, multifacted tradition. The speakers include Alyce England, associate curator of American Decorative Arts at the Wadsworth Atheneum, and Christina Vida, curator of the Windsor Historical Society. Also Will Neptune, who has closely studied the construction techniques, proportioning and workmanship of Eliphalet Chapin; and Steve Brown, an instructor at the North Bennet Street School, the Boston institution that offers intensive hands-on training in traditional trades and craftsmanship, who also will discuss construction techniques and do some joinery demonstrations. 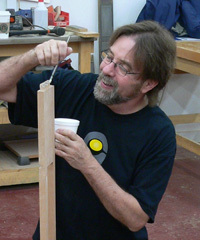 Bob Van Dyke, the founder and director of the Connecticut Valley School of Woodworking, said Will Neptune’s presentation will focus on Chapin’s geometric methods in design and pattern layout. 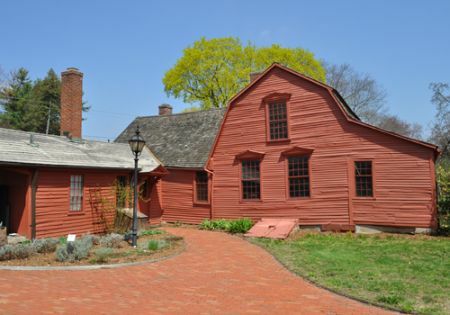 The Connecticut Valley School of Woodworking has been working with the Windsor Historical Society to furnish the ongoing renovation of the historic Strong Howard House (pictured at left) for an innovative hands-on approach to historical interpretation. Christina Vida has been researching probate inventories and other documents to determine the furnishings and objects that would have been in the house. Reproductions are being made, so that visitors will be able to have a fuller experience. They’ll sit in chairs and at desks, handle textiles and household objects. The Connecticut Valley School of Woodworking is a primary partner in the project, Christina said, and students are now working on a reproduction of a high chest (pictured at top) attributed to Eliphalet Chapin, which is now in the Wadsworth Atheneum. Bob says some students at the woodworking school are in the middle of a year-long class on Chapin high chests, and have been making measured, exact copies of Chapin pieces. Students who are interested can submit their finished work to a jury for possible inclusion in the exhibit at the Strong Howard House. Saturday’s program, at the school at 249 Spencer St. in Manchester (take the first left past the Woodcraft building; the school is in the back of that building), runs from 9:30 a.m. to 5 p.m. The $45 fee includes lunch. You can register and pay at the door, or online at http://www.sapfm.org/ne-chapter-event-registration. And for more information, call Bob Van Dyke at 860-729-3186 860-729-3186. Photos via the Connecticut Valley School of Woodworking and the Windsor Historical Society.